We have the harsh Michigan weather to thank for Rose Ann Day’s move to warmer weather and a career change from education to art. Born and raised in the Detroit area Day’s exposure to art came early through visits to museums and watching her creative parents. Day cites her parents as major influences as they were always working with their hands; designing, building, & also planting gardens. Day began painting landscapes and flowers and took classes through the Scottsdale Art League. In 1981, after painting seriously for only one year, she decided to seek gallery representation. 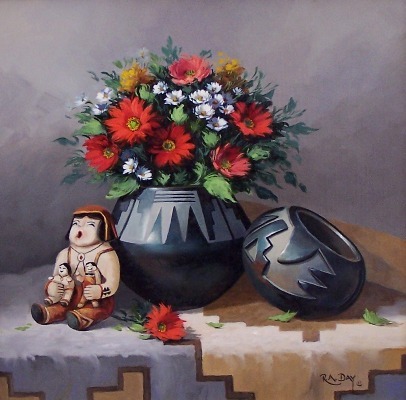 “We drove to Santa Fe,” Day says, “I walked into Joe Wade Fine Arts and asked the owner if he would look at my work.” She had four paintings with her that day. He took them all and by the time she got home all four had sold. Day’s subject matter has grown to include items made by hand. 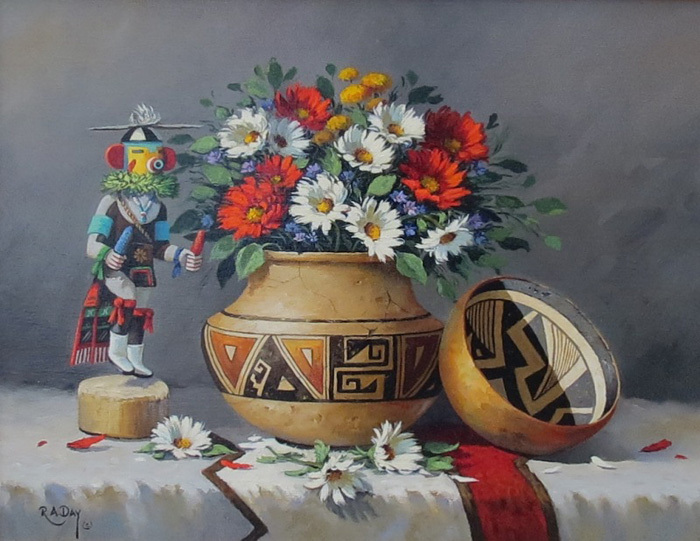 She loves Indian artifacts, pottery, rugs, basketry and generally employs flowers in her paintings. Day incorporates pieces and places she loves into her paintings and through careful attentive brushwork she conveys that love to the viewer. 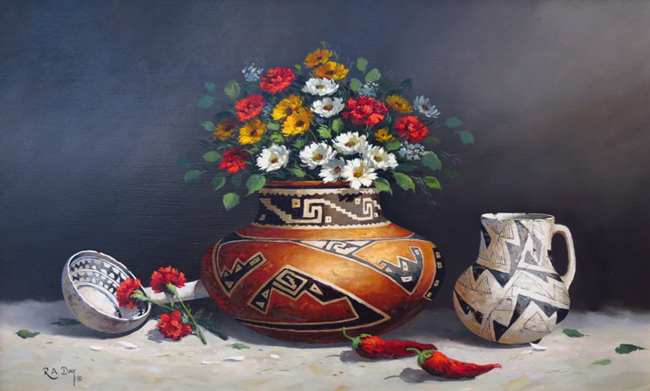 Rose Ann Day is a signature member of the Western Academy of Women Artists and participates annually in the West Art Show in Tucson, Arizona. 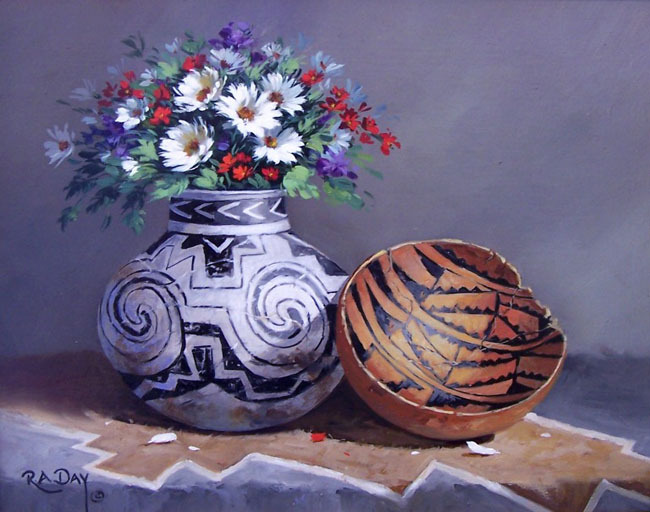 Her paintings have also been included in the book titled Fresh Flowers: The Best of Flower Painting. 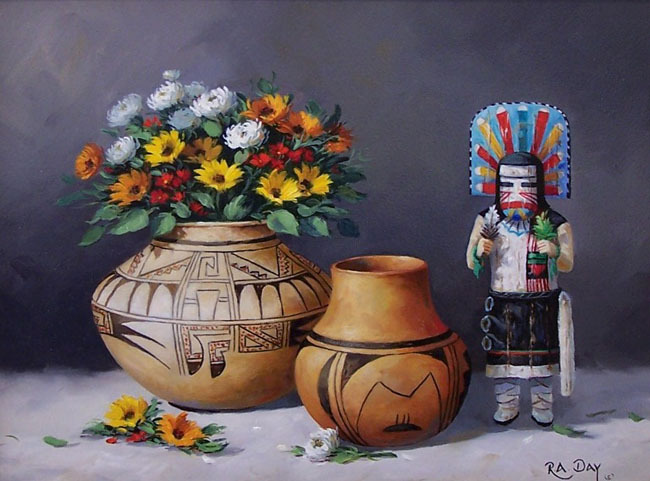 Additionally, several of her paintings have been reproduced on greeting cards to benefit the Arthritis Foundation of Southern Arizona. 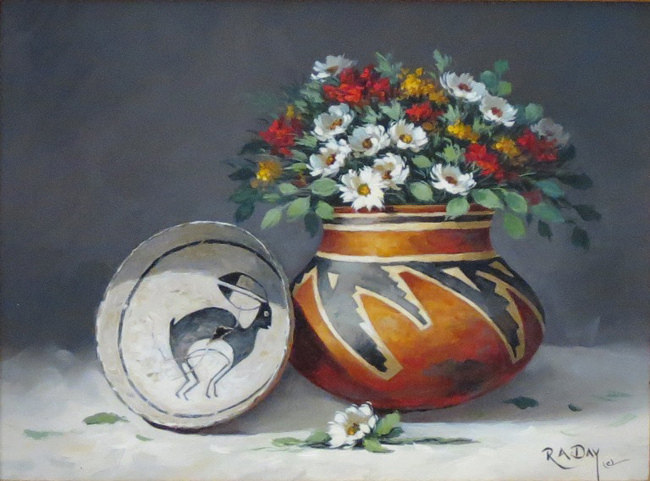 Rose Ann Day’s work is included in permanent museum, corporate, and personal collections throughout the world.